[INQ. NO. 1605M25] Quality is the most important factor in customer‘s satisfaction. Korea Lost-Wax Co., Ltd. (KLW)’s quality assurance and acceptance procedures are fully implemented throughout each stage of the manufacturing process. KLW has approval from major aerospace engine makers with AS9100, ISO9001 and shipping registers in eight countries. KLW’s effort to increase quality level for customer’s satisfaction will ceaselessly continue. KLW uses the latest equipment for manufacturing and supplying various kinds of casting parts to clients worldwide. Especially, KLW uses high vacuum induction furnaces for aerospace, power generation and marine industry casting parts. KLW’s investment castings are used in many industries, particularly where high-quality series parts are required with close tolerance from materials that are difficult or even impossible to be machined. KLW’s investment castings are also used in such major areas of industries as the aerospace industry, marine industry, power generation industry, nuclear industry, and commercial industry. Sungbo Industrial, which started its business in 1975, is a leading company in the nation engaged in producing such precisely machined components as steel casting parts and automobile parts, covering various standards and specifications. 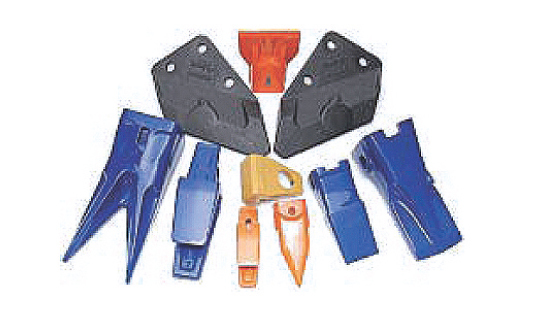 Sungbo Industrial manufactures over 2,000 kinds of ground engaging tools and sprockets every month covering almost all the machines in the world, including Caterpillar and Komatsu, etc. for more than 100 client manufacturers. The high performance of reduction gear assembly featuring zero defect precision, most advanced design and most productive hydraulic motor are also available. Sungbo has also diversified its production portfolio into design and manufacturing of AXLE for excavators and loaders. Armed with highest-technology and considerable experience toward becoming the company committing to the development of the nation’s overall growth, the company is further strengthening its efforts to achieve this business goal. All of its products currently produced at four factories in Korea and China are aimed at the global market. Filed Under: Machinery Tagged With: Automobile Parts, Industrial Casting Parts, steel casting parts, Sungbo Industrial Co. Ltd.